For instance, have you been trying the same strategies to get out the door on time, but constantly arrive late? Are you struggling to organize your day at work or home only to lose (errr…forget) important pieces of the puzzle? Do you find yourself losing your temper with your children, spouse or other important people in your life and end the day feeling frustrated? And at the end of it all, do you feel just a little bit like you are going crazy? Einstein had it right…insanity is repeating the same thing and hoping this time, things will be different. But we aren’t crazy. When we keep doing the same thing, hoping the results will be different, it may be that we keep trying to solve our challenges using our weaknesses, rather than tapping into and applying our ADHD gifts. For instance, one of the many gifts of an ADHD brain is the ability to be creative, but sometimes we get so stuck hyperfocusing on our failures that we fail to think outside the box to solve the problem. Or often, we hit a “tipping point” and the old strategies don’t work anymore. We are suddenly struggling in areas of our lives where we usually find success. What would it be like to pause, tap into that creative problem solving and ask…what can I do to fix this or what can I do differently? Stop and pause. Ask yourself: What is really the problem? For instance, continually having problems getting to work on time can be the result of many things. Is it that you are having a hard time organizing yourself to get out the door? Are you not allowing enough time to do everything you want to do to get out the door? Are you late because you don’t allow enough time for the drive? Are there new distractions or obstacles that pop up preventing you getting to work on time? Believe it or not, all these different situations require different solutions. Tap into your creativity. Creativity is just not for artists!!! 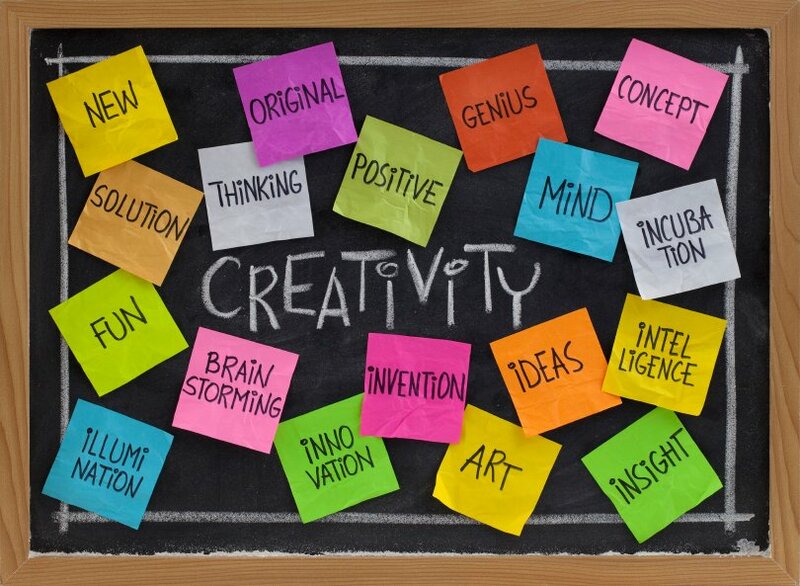 Creativity is the use of the imagination for original ideas…and most of us with ADHD have this strength in abundance! So, try some creative, imaginative or even magical thinking to solve the problem. For instance ask yourself: If I had no restrictions (or even a magical wand), what could I do to get to work on time? Eliminate the ‘can’t, wouldn’t or shouldn’t work’ thinking. Get grandiose with some of your ideas. Chances are the “new solution” is in there somewhere. Now take action. What would be the next step you could take to put some of those strategies into reality? And then, what would be the next step after that? What can you do right now, today? Yes, you can’t slow down time, but you might be able to do something the night before to give yourself more time in the morning? « Minimizing Your Symptoms of ADD: Which Comes First…Exercise, Diet or Sleep?